i figured for $13, i was expecting better quality. I recommend the 11 inch size (what I'm reviewing) only for certain fish that tend to really swallow the lure/hook. 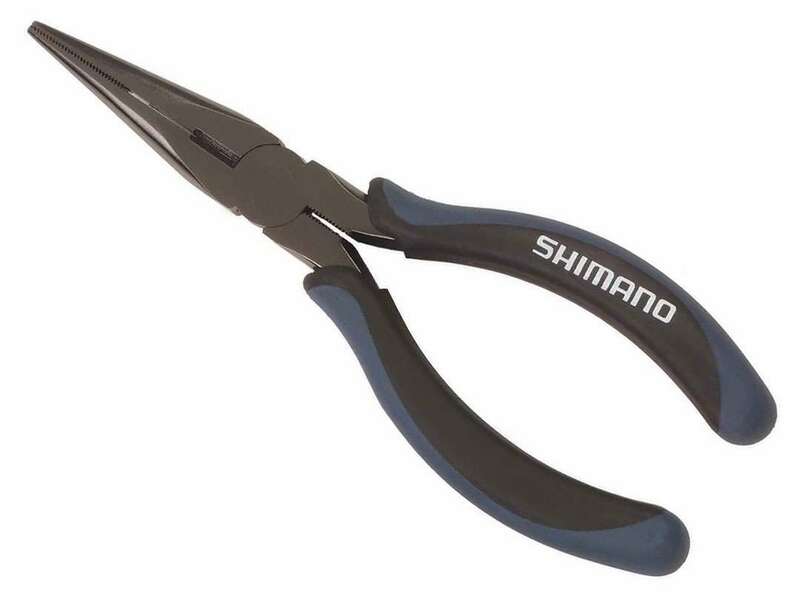 If you sometimes need to get way back in there, these are the pliers to do it. For more typical use, get the 6 or 8 inch. These are fairly typical cutters, as can be found in any hardware store. They seem to be well-made and they are of smooth operation and don't bind up like some cheap brands. The price is fair. They are not stainless steel, but supposedly regular steel coated with some sort of corrosion preventative, which seems durable. They fit well in the Shimano sheath, sold separately. I've tried a lot of the higher end pliers and none hold up as well as these. Just have to keep up on maintenance. I've been using these pliers for a while now and they have never let me down. For the price you can't beat 'em. Bought these as replacement for two pair i've had several years using in ocean and Chesapeake bay fishing. Each year they needed a little wd40, but other wise faired much better than any other tools i've used on the water. These appear to be almost as good. The cutters seem to require a little more pressure to cut off small monofilament. Chalking it up to stiffness for th etime being. Tackle direct had the best price of several sites, reasonable shipping and fast service. They were the best! ConsNew ones seem to be a little stiff.